Vietnam’s benchmark VN-Index plunged on September 10, eroding all its achievements in the past week as selling demand unexpectedly increased at the end of the trading session. The measure of 254 companies and five mutual funds listed on the Ho Chi Minh Stock Exchange sank 2.65 percent, or 12.29 points, to close at 451.39 points. Trading volume slightly rose over the previous day to around 53.01 million shares, worth VND1.32 trillion. On the index, 26 stocks rose, 209 dropped, while 24 remained unchanged. Saigon Securities Inc. (SSI) was the most active share in volume with 2.27 million shares changing hands, followed by Investment and Trading of Real Estate Joint stock Company (ITC) with 1.74 million shares. Refrigeration Electrical Engineering Corporation (REE) with 1.7 million shares traded took the third rank. Southern Seed Corporation (SSC) contracted 34.02 percent to VND28,900. The company will issue 4,499,559 bonus shares to its current shareholders at ratio of 2:0.9, funded from its development investment fund and undistributed profits. 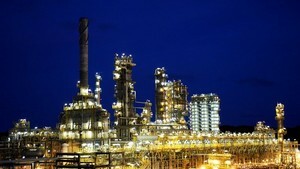 This is a part of the plan to issue 5 million shares to increase the company’s chartered capital to VND150 billion. Other losers on the city bourse included Thong Nhat Rubber Joint Stock Company (TNC), Urban Development and Construction Corporation (UDC), and Vung Tau Real Estate and Construction Joint Stock Company (VRC). Construction company Van Phat Hung Corporation (VPH) climbed the second day, adding 5 percent to VND33,600. Ben Thanh Trading & Service Joint Stock Company (BTT) closed up 4.92 percent to trade at VND34,100. From August 5 to 27, Ben Thanh Group, represented by chairman Vuong Cong Minh, bought 300,000 shares of Ben Thanh Trading & Service Joint Stock Company (BTT), increasing its holdings to 3,380,003 shares, accounting for 38.41 percent of BTT’s chartered capital. NBB Investment Corporation (NBB) surged by 4.91 percent to VND85,500. 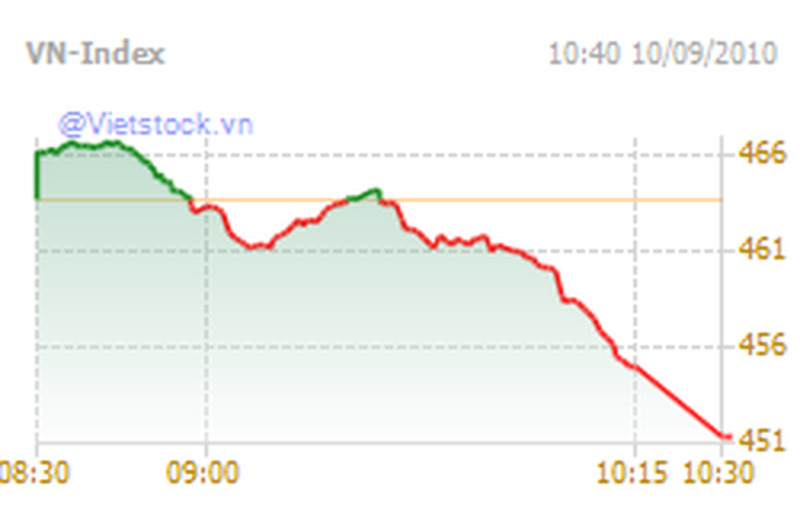 The Hanoi’s HNX-Index adjusted 5.09 points, or 3.74 percent to 131.15. Around 57.8 million shares, valuing VND1.36 trillion, changed hands. The UPCoM-Index slipped 0.53 points to 47.41 points. Around VND3.67 billion were spent on 291,000 shares.